Confederate Uniforms. American Civil War. 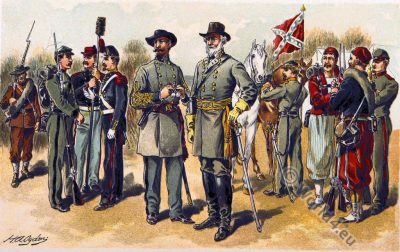 From left: North Carolina Militia. Reg. Infantry Private. Washington Artellery. Montgomery True Blue. Filed Officer of Infantry. General Lee’s Uniform. Reg. Cavalry Private. Louisiana Tiger. 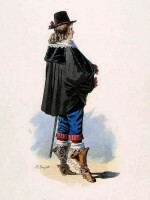 Louisiana Zouave. Reg. Artillery Private. 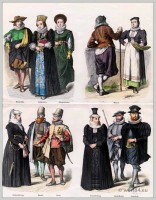 French Gentleman costume 17th century. 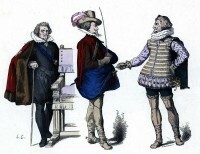 Spanish court dress. German Emperor Ferdinand II. 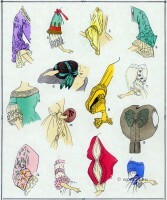 Lord and French nobles fashion. 16th century. Reign of Louis XIII. Louis XIII. fashion. France Ancien Régime. This entry was posted in 1861, 19th Century, Military, North America and tagged North American costumes, U.S. Military, United States Army uniforms on 7/4/16 by world4.